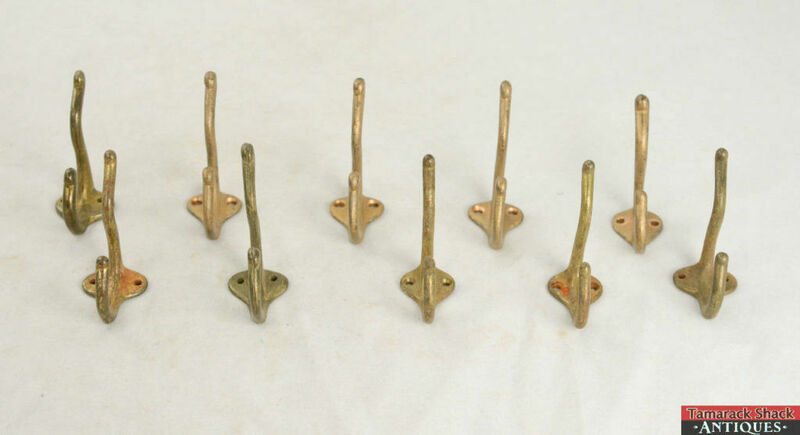 Vintage set of 10 Golden Hooks. 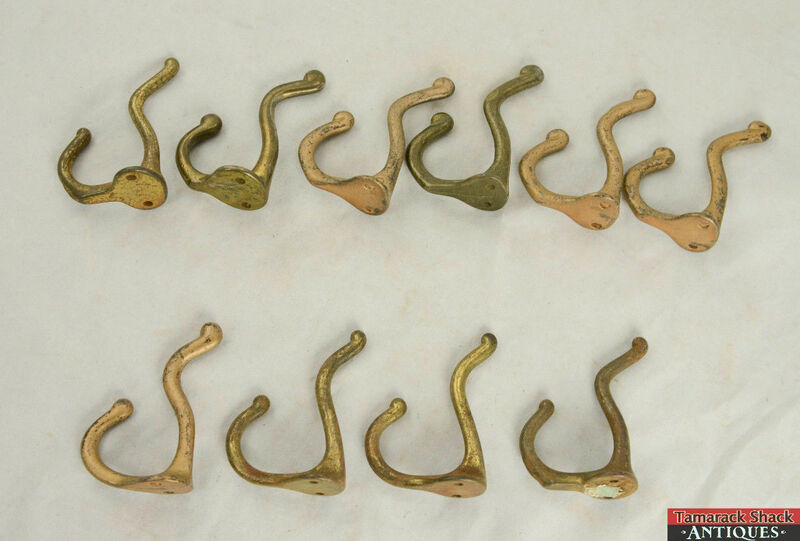 Perfect for organizing or add that antique/vintage touch to any room! Originals. Nice decorative hooks for Clothes, hats, coats and more. Made of Cast Iron. About 2.5″ tallest point; 3″ widest point. In good condition. No breaks, some wear to the finish. Vintage Slaymaker Cylinder Padlock Made In Lancaster, PA With Key Vintage Rosso Lavender Clear Glass Standing Rooster 2-Piece Candy Dish 8 1/2"